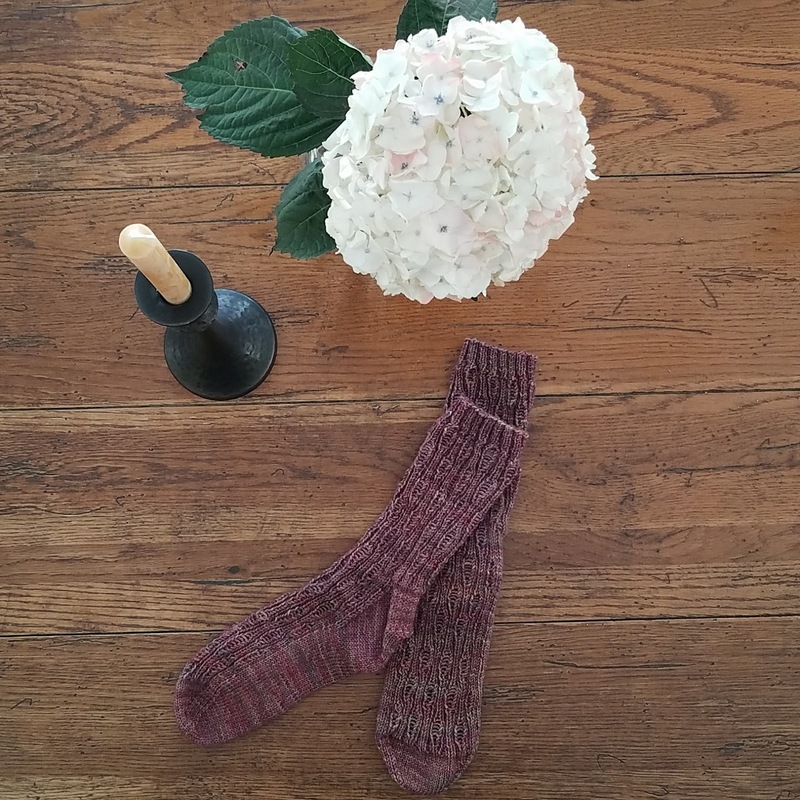 I finally finished the Amelie socks in Madeline Tosh Sock Yarn (Alizarin colorway) that I have been working on for what seems like forever. According to my Instagram posts, I began them on March 1st. Despite the length of time they took, I really enjoyed the pattern. It was a well written and easy to follow pattern and gave instructions for all the different sorts of needles that knitters use (double pointed needles, two circulars, and magic loop). I am already planning to cast on to a second pair as soon as I can!